Recently refurbished surgery with state of the art Belmont Cleo II treatment centre for greater patient comfort. Handside Dental Surgery is a NHS, Private and Denplan practice specialising in the care of the whole family. We are located on the residential west side of Welwyn Garden City. The practice has ample parking locally. Patients can book their dentist appointments with us either over the phone, by email or by calling in to see us. Our Hygienists are now able to offer a walk-in hygienist service. 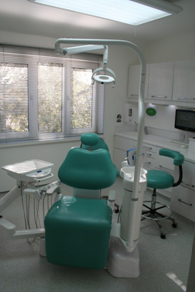 Many people are afraid to visit the dentist, but here at Handside we aim to provide the highest standard of general and specialist dental care using state of the art equipment and techniques so that our patients feel relaxed and they have a good experience with us. We believe that communication is essential in any dental treatment that is why our dentists will provide you with all the relevant information and support to help you make an informed decision about your dental health. Call us now if you need to see a dentist in Hertfordshire. Please explore our website to find out more about the practice and the dental treatments we offer. If you would like more information about us, or have any questions, please call us on 01707 323250 or contact us through this web site.